As a guitarist you not only want your guitar gear to be comfortable but you also want it to look cool. 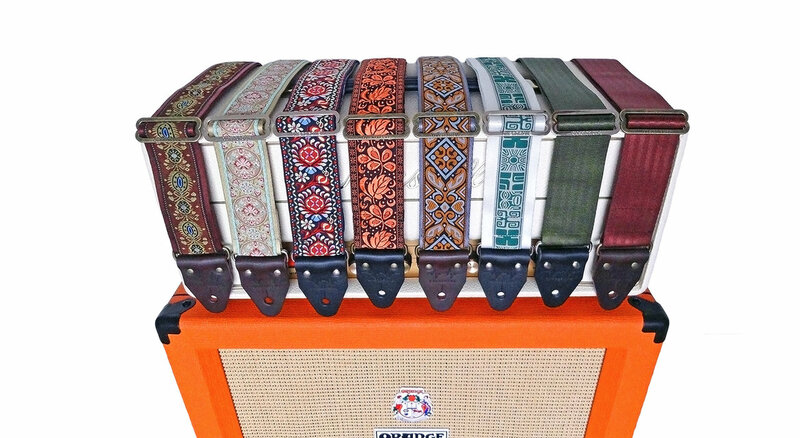 Overdrive Straps are high-quality guitar straps that ooze a passion for music and guitars. A musical performance should be a total experience for all the senses. The unique charisma of guitar legends such as Brent Hinds is further magnified by his striking guitar gear. 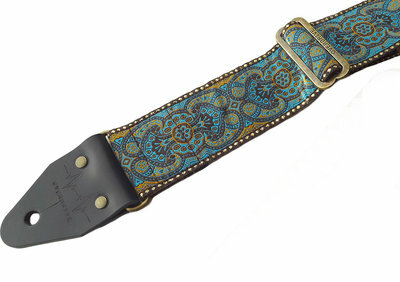 With this mission Overdrive Straps produces cool guitar straps that leave a lasting impression. 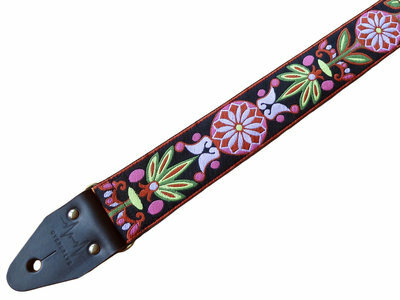 A guitar strap should not only be comfortable but also convey your image as an artist to the audience. 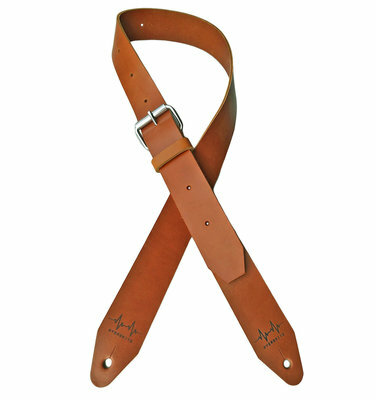 A well-chosen guitar strap therefore suits your character as a guitarist and is a great addition to your guitar or bass guitar. That is why the collection of Overdrive Straps contains many types of cool guitar straps in a wide variety of colours, materials and prints. 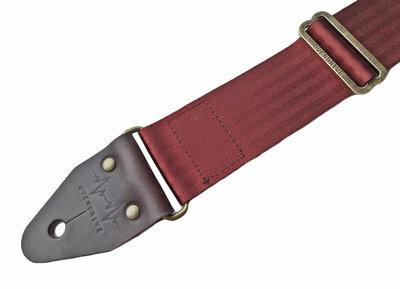 You can customise our cool guitar straps by selecting the style, colors of seatbelt/leather/hardware and length yourself. 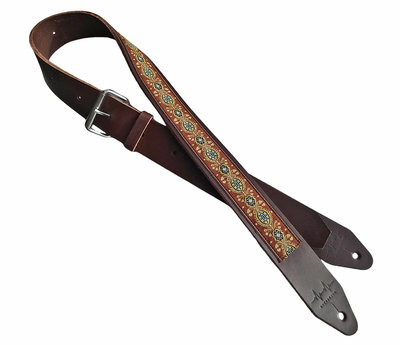 This means you know for certain that via our website you are buying a guitar strap that meets your specific requirements. 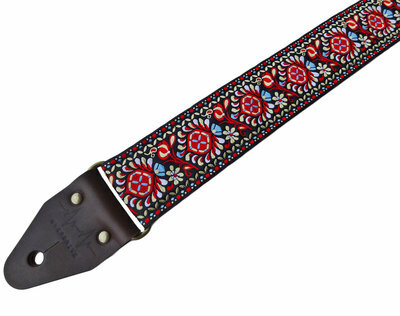 Our range consists of cool seatbelt straps, retro fabric straps with a timeless print and sturdy full leather straps that are super comfortable. 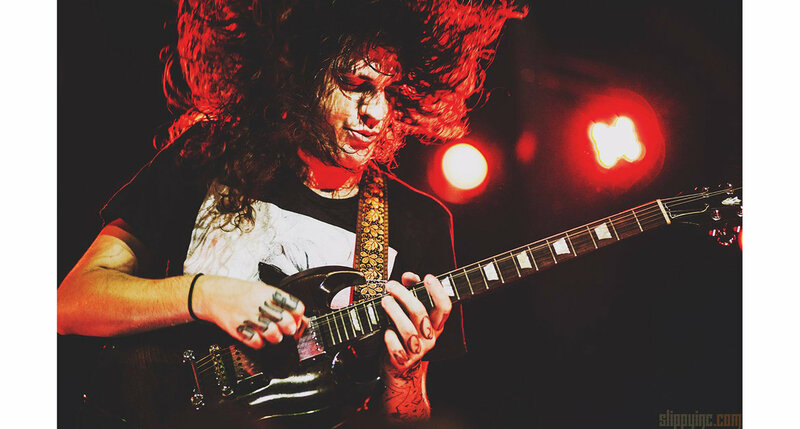 You wouldn't want your guitar to fall down right in the middle of that face melting solo now do you? 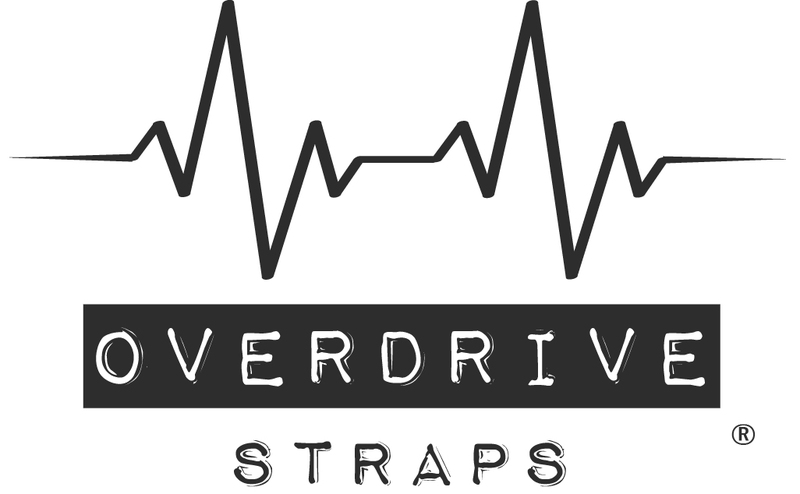 Guitar straps from Overdrive Straps are therefore handmade of premium materials such as durable full grain leather, strong safety seatbelt and heavy duty hardware materials. 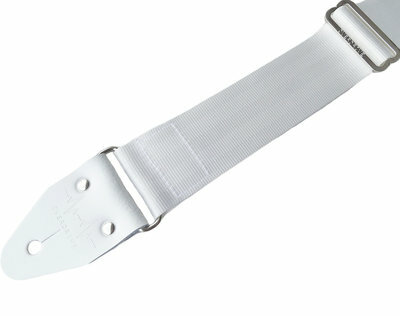 This makes your guitar straps resistant to even the wildest of gigs. 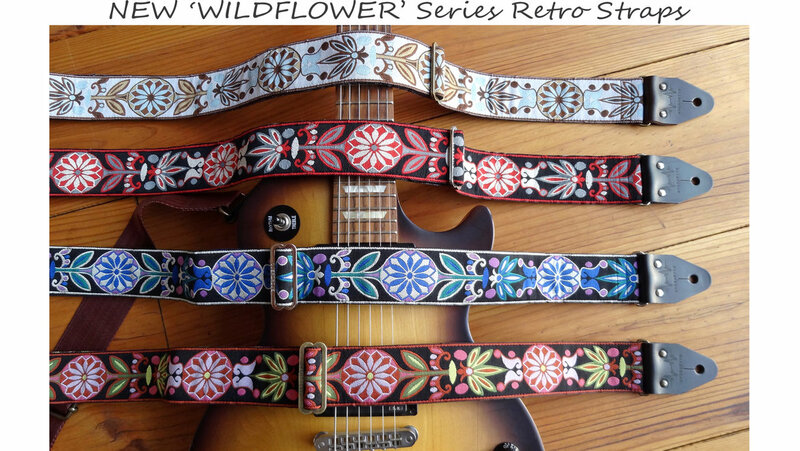 When you buy Overdrive guitar straps, you can be assured that they will last a long time. 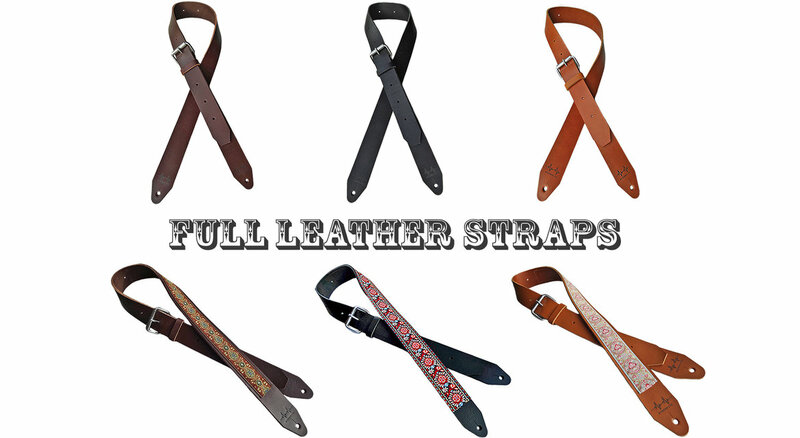 Furthermore our cool guitar straps are known for their excellent comfort. In our view, this is vital, because a restrictive guitar strap should not get in the way of your creative process. 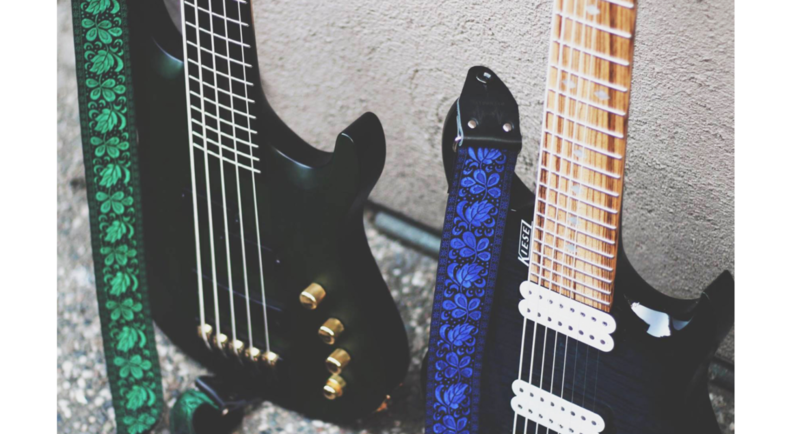 Overdrive Straps are the best choice for any serious guitar player. As a guitarist you have probably spent a lot of money on your guitar. 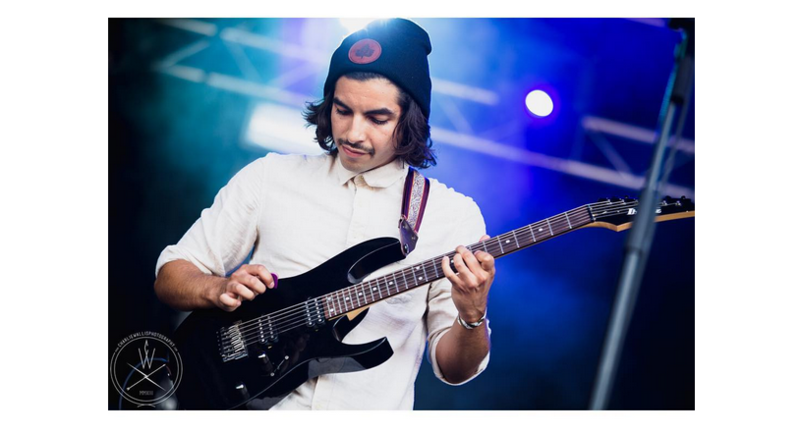 Saving on an accompanying guitar strap is therefore a shame, certainly when it comes to the modest prices of high quality handmade guitar straps from Overdrive Straps. 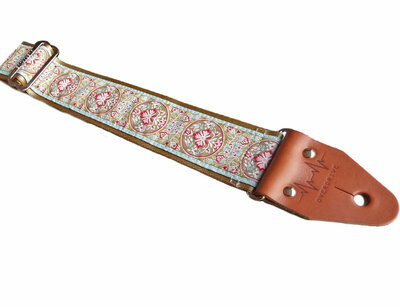 In our range you will find a multitude of high-quality guitar straps that have been handmade with great care!